The upcoming meeting of the two leaders on Friday is a significant step in terms of keeping the dialogue open on issues that are of importance to both communities, UN envoy Elizabeth Spehar said on Wednesday evening. Spehar, who was addressing a reception hosted by the United Nations, in Ledra Palace, at Nicosia buffer zone, on the occasion of the UN Day, said that while not signifying a return to fully-fledged negotiations, Cyprus leaders' meeting on Friday is a significant step by them to keep the dialogue open on issues that are of importance to both communities, including the possible opening of crossings that had been agreed in 2015. The reception was attended by Turkish Cypriot leader, Mustafa Akinci, Greek Cypriot and Turkish Cypriot politicians, foreign diplomats, Cyprus' religious leaders or their representatives as well as members of the civil society from both sides. 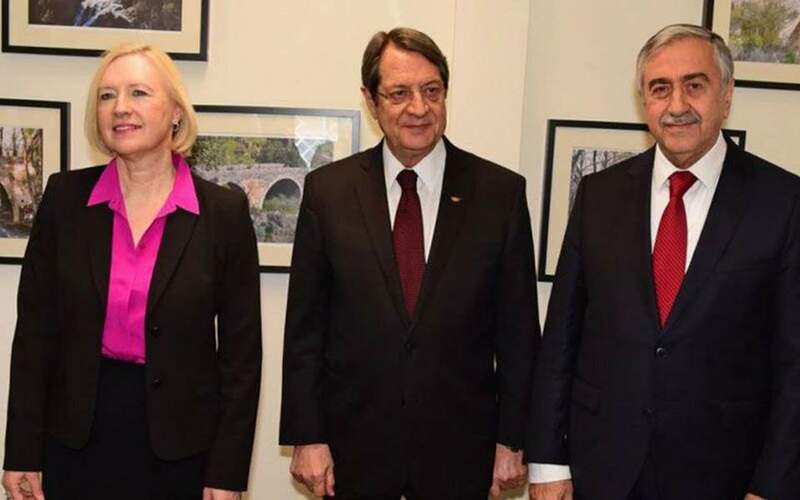 In her remarks Spehar noted that "at this point, we are witnessing once again a critical moment in the Cyprus peace process. No negotiations have taken place for more than one year, a situation that has diminished the hopes for a prompt resumption of talks in both communities," she added. "In his latest report, following the recent round of UN consultations with the parties, the Secretary-General has nonetheless concluded that prospects for a comprehensive solution 'remain alive.' The days and weeks ahead will be crucial as the United Nations will continue to engage in discussions with the sides in order to gauge the possibilities and modalities for a return to meaningful, results-oriented talks," she noted.